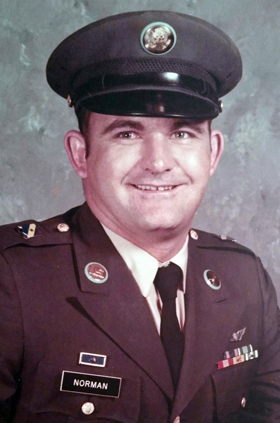 Bobby Joe Norman, 63, of Malakoff, Texas, passed away March 31, 2016, in Tyler, Texas. Bobby was born Aug. 19, 1952, in Clovis to Roy Edwin and Viola Bernice (Gordon) Norman. He served our great country in the Army during the Vietnam War. On May 5, 1972, he married the love of his life, Phyllis Ann Hartley, in Lovington. The couple has resided in Malakoff for the last 17 years. Survivors include his wife, Phyllis; sons Timothy Norman and Billy Norman and wife Maranda; brothers Herbert Norman and wife Dolores, and Troy Norman and wife Francis; sisters Telita Fitzgerald, Linda Reed and husband Gordon, Judy Glasscock and husband Carl, and Karen Melton and husband Danny; sister-in-law Kathey Covert and husband Donnie; four grandchildren, Morgan Norman, Brooke Norman, Madison Hathorn and Braxton Riggs Norman, who continue his legacy; and numerous nieces and nephews. He was preceded in death by his parents, Roy and Viola Norman; son Michael Norman; and brother Wallace Norman. A memorial service will be held at a later date in Lovington. Arrangements are under the direction of Huckabee-Tomlinson Funeral Home of Malakoff. Condolences may be expressed online at www.tomlinsonfuneral.com.